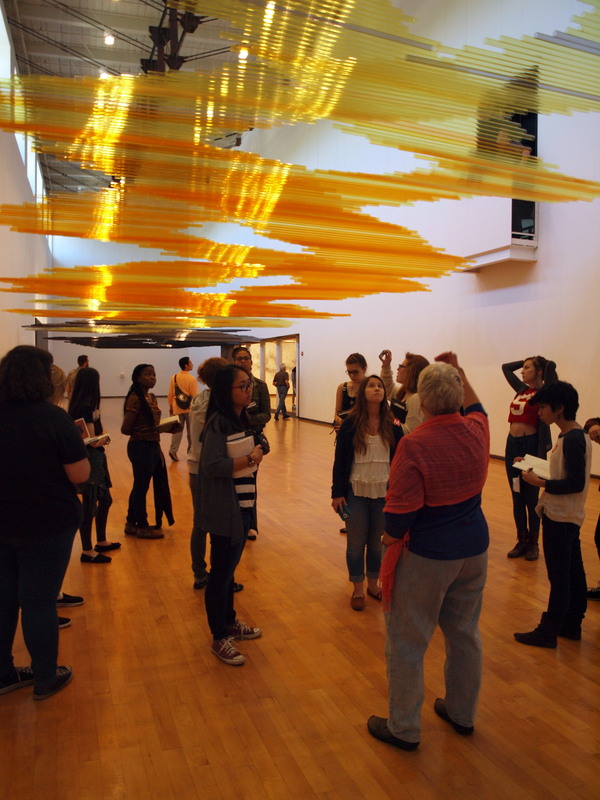 Welcome to the Center for Art & Design at The College of Saint Rose. We invite you to browse through our website to look at student work, meet our faculty, discover our curriculum and visit our facilities. 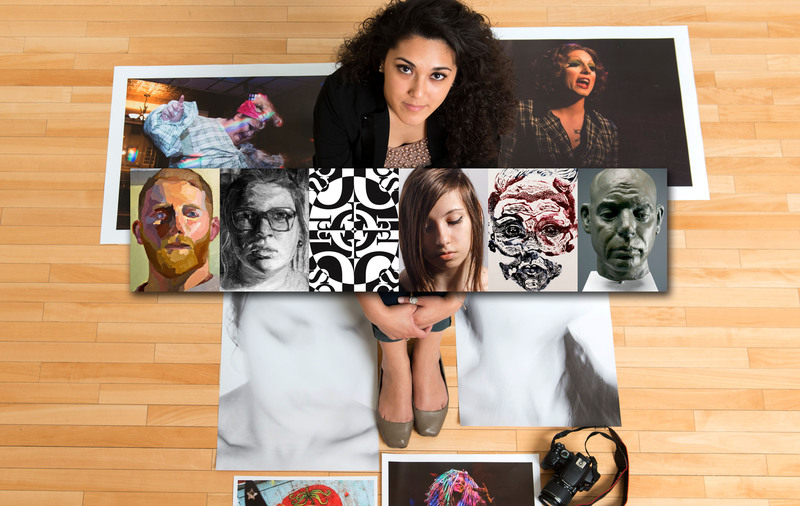 The excellence of our liberal arts BFA and BS degree programs are recognized by accreditation from the National Association of Schools of Art and Design (NASAD) and by the accomplishments of our graduates. 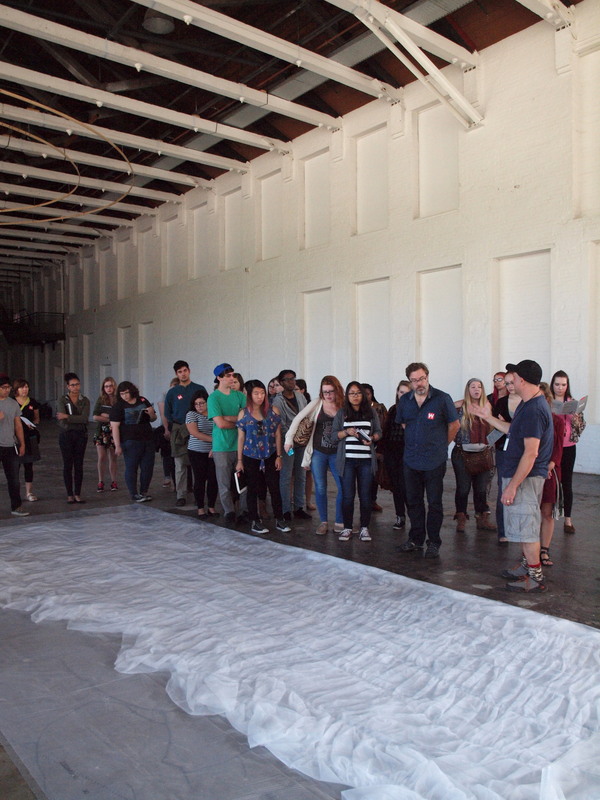 Our programs encourage freedom of expression and challenge students to reach the fullest potential. At the Center for Art & Design, you will experience a full calendar of gallery exhibitions, visiting artists, and trips to regional, national and international museums and galleries. 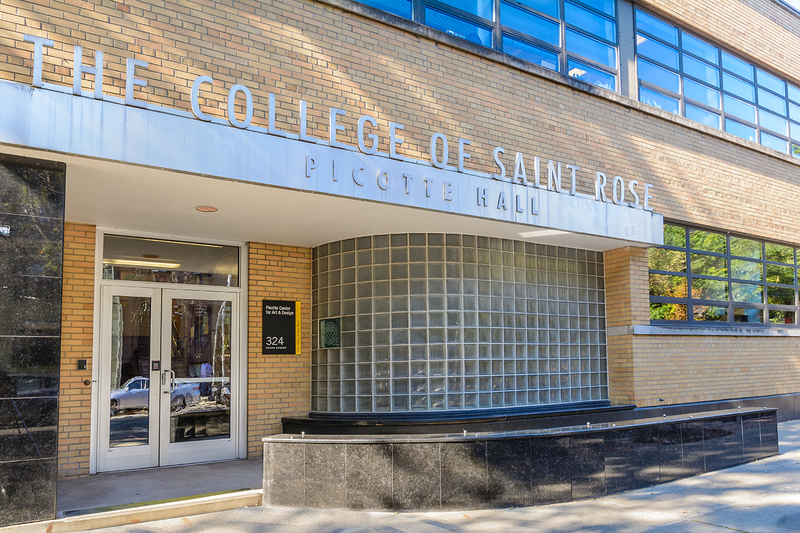 Our own Esther Massry Gallery on the Saint Rose campus hosts renown artists, designers, sculptors and other events throughout the year as well as the Senior Exhibition each year. 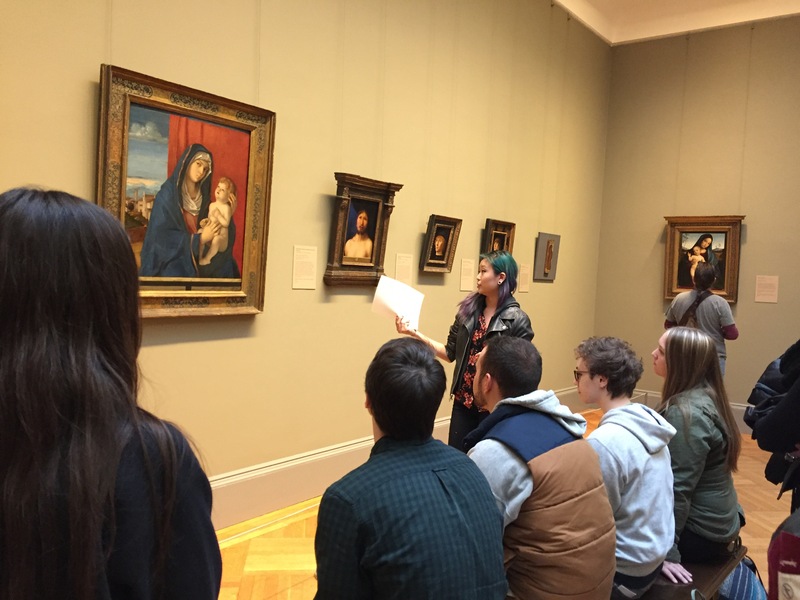 We take full advantage of our proximity to world-class museums, galleries and cultural institutions in the northeast with numerous trips to New York City and other nearby art locales. Touring the contemporary art at Mass MoCA, North Adams MA AHI 285 Renaissance Presentation at the Metropolitan Museum of Art Surrounded by art at the Metropolitan Museum of Art Why use digital images when you can give a presentation next to the real painting at the Met? Visual, creative, cultural, and design literacy are fundamental to a liberal arts education and necessary for navigating competitive professional environments. 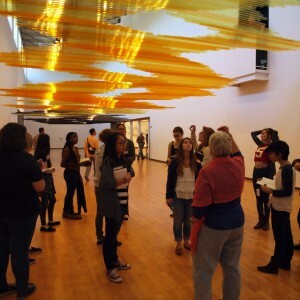 The Center for Art and Design promotes these essential literacies through disciplined studio and research practices, intellectual challenge, and interdisciplinary exchange. The faculty are committed to each student’s ability to see aesthetically, act creatively, think critically, and make lasting contributions as innovative artists, designers, educators, scholars, and leaders. Foster each student’s personal voice and informed visual education. Prepare students for careers in the fields of art, art education and design by promoting opportunities for creativity, critical thinking and innovative problem solving. Inspire students to pursue intellectual opportunities in the world of art and design and become life-long learners and leaders in their fields. 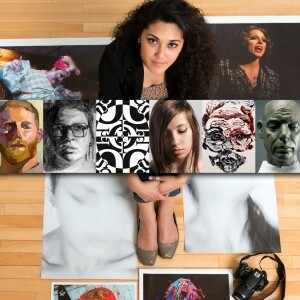 – Create and develop visual responses to communication problems within the graphic and interaction design professions. – Demonstrate a range of traditional and digital skills in the creation of design that is an effective combination of research, concept, media, and craft. – Demonstrate the ability to incorporate historical, social, and cultural contexts in their creative and intellectual processes. – Develop business and communication practices to function productively in a professional and collaborative environment. – Create a portfolio of work that meets professional standards in the graphic and interaction design fields. – Demonstrate making as a way of thinking. They will develop the ability to use a diverse range of mediums bringing into existence concepts and ideas through shaping, transforming and re-contextualizing materials. – Demonstrate intense research-based critical and creative exploration focused on content, process and voice. 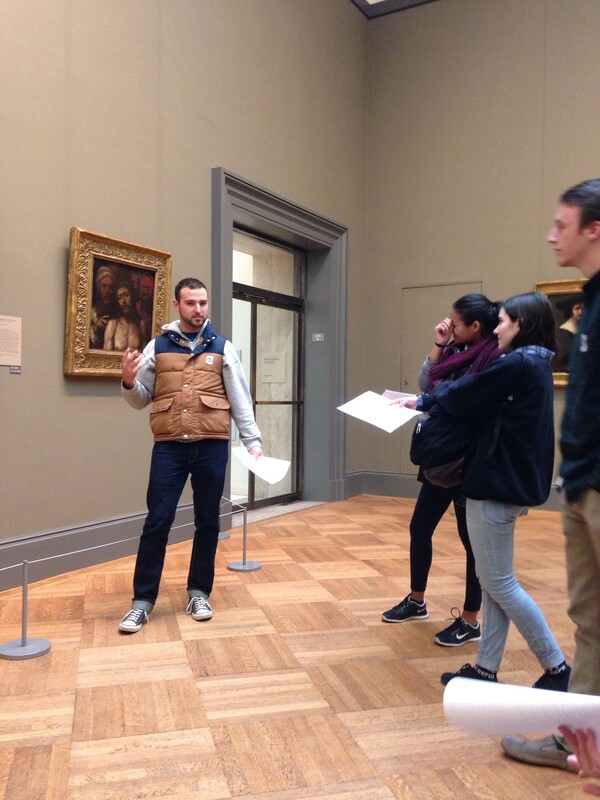 – Critically analyze art and texts related to art, decode visual rhetoric, situate their artwork within artistic and theoretical contexts both past and contemporary, and understand how material, process, and media impact form and content. – Demonstrate fluency and proficiency in articulating ideas through highly developed oral, written, and visual communication skills. Ultimately, they will clearly show confidence and sophistication in their social, personal and professional communication that will help to advance life-long learning and their careers as innovative visual thinkers and fine artists. – Demonstrate making as a way of thinking. They will develop the ability to explore a diverse range of mediums experimenting with concepts and ideas through shaping, transforming and re-contextualizing materials. – Demonstrate research-based critical and creative exploration focused on content, process, voice, intellectual breadth, and an expanded liberal arts experience. – Demonstrate fluency and proficiency in articulating ideas through oral, written, and visual communication skills. Ultimately, they will demonstrate confidence and sophistication in their social, personal and professional communication that will help to advance life-long learning in a career focused on visual thinking and the arts. Who will you meet through these doors? Access the Saint Rose Transfer Equivalency Database (TED). This database provides general information regarding transfer course equivalencies. Studio art major Siena Phelps '18 spent the summer organizing the acclaimed contemporary artist's library.